This cool little robot is ready to roll, and get kids moving and learning along with him! 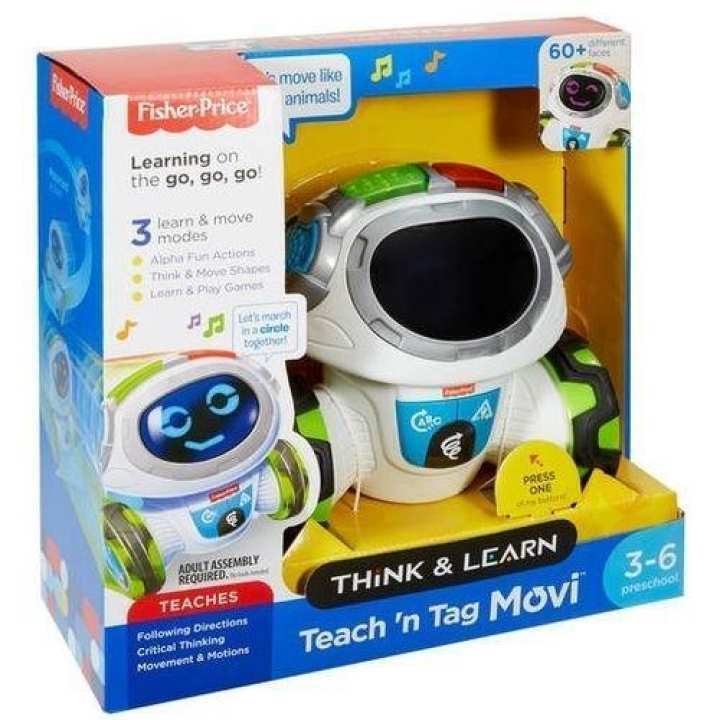 With 360 degrees of mobility, Think & Learn Teach 'n Tag Movi encourages preschoolers to get their minds and bodies moving while teaching them how to follow directions and think critically about the world around them! With 3 exciting game modes and 6 games to choose from, Movi keeps kids thinking (and moving! ), whether he's asking them questions to engage their critical thinking skills, prompting them to follow directions to a fun game, or getting silly on the dance floor and showing off his smooth moves. Kids will have a blast showing off their awesome listening skills and rockin' moves with this interactive learning robot! Where development comes into play™ Following Directions: With active games like "Red Light, Green Light" or "Movi Says", preschoolers practice their listening skills and following directions.